Advanced Navigation has confirmed that their miniature GPS-aided inertial navigation system (INS) and attitude & heading reference system (AHRS) has been selected by Dynetics for DARPA’s Gremlins UAS (unmanned aerial system) program. 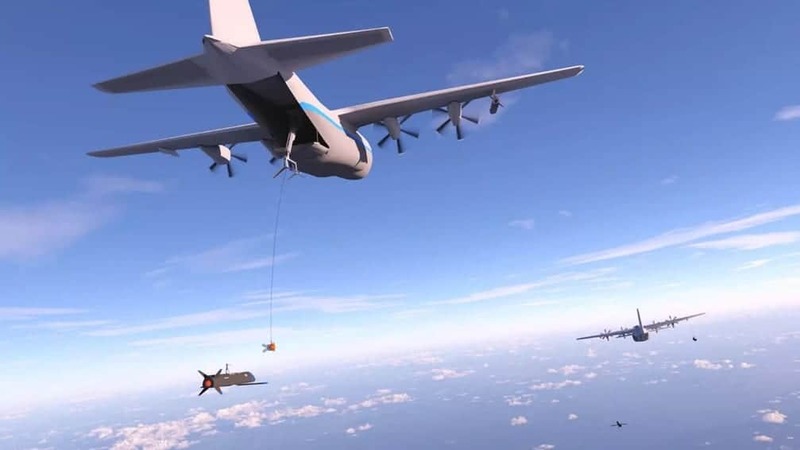 The Gremlins unmanned aircraft are designed to be launched from warplanes and quickly recovered in mid-air. They are intended to be low cost and reusable within 24 hours after a mission. Accurate positioning is paramount to enable drones to be recovered mid-air, and high reliability was also a discriminating factor when the time came for Dynetics to select an Inertial Navigation System for the in-flight recovery component on board the C-130 aircraft. “Rapid development of innovative and complex systems like Gremlins drives us to identify and use system components with the highest reputation for reliability and performance. We are proud to be working, once again, with Advanced Navigation on another one of our priority demonstration programs,” said Tim Keeter, Deputy Program Manager and Chief Engineer for Gremlins at Dynetics. The Spatial Dual selected by Dynetics is a ruggedized miniature GPS aided inertial navigation system and AHRS that provides accurate position, velocity, acceleration and orientation under the most demanding conditions. It combines temperature calibrated accelerometers, gyroscopes, magnetometers and a pressure sensor with a dual antenna RTK GNSS receiver. These are coupled in a sophisticated fusion algorithm to deliver accurate and reliable navigation and orientation. “The unmanned air vehicles utilized in these future operations will carry a variety of different sensors and other payloads, working together to manage and conduct complex, highly-adaptive operations in contested environments. When they complete their mission, they return to airborne manned platforms to be recovered to a forward operating base where they can be quickly refurbished and put back into the fight. The potential to overwhelm an adversary continuously with multiple volleys is tremendous,” said Keeter. The Gremlin UAVs are designed to be launched from combat aircraft like fighter jets and bombers as well as C-130 aircraft. Once the mission is accomplished another aircraft retrieves the Gremlins and transports them back to an operational base.